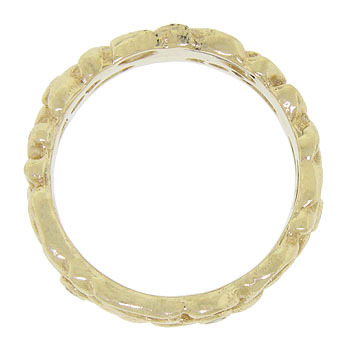 Abstract organic flowers and vines twist across the surface of this 14K yellow gold antique style wedding band. 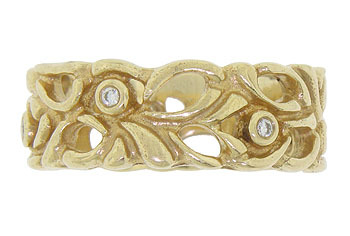 Fine faceted diamonds are bezel set into the floral design. 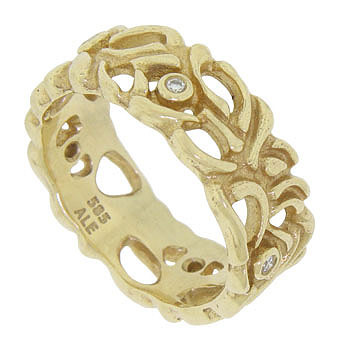 This wedding ring measures 7.41 mm in width. Size 7. We cannot re-size.